SANTA MONICA, CALIF. — Eight-time GRAMMY® winner Dolly Parton will be honored at the 2019 MusiCares® Person of the Year tribute on Friday, Feb. 8, 2019, it was announced today by Neil Portnow, President/CEO of MusiCares and the Recording Academy™. Proceeds from the 29th annual benefit gala will provide essential support for MusiCares (www.musicares.org), a charity founded by the Recording Academy that ensures music people have a place to turn in times of financial, medical, and personal need. The tribute will be held at the Los Angeles Convention Center two nights prior to the 61st Annual GRAMMY Awards®. 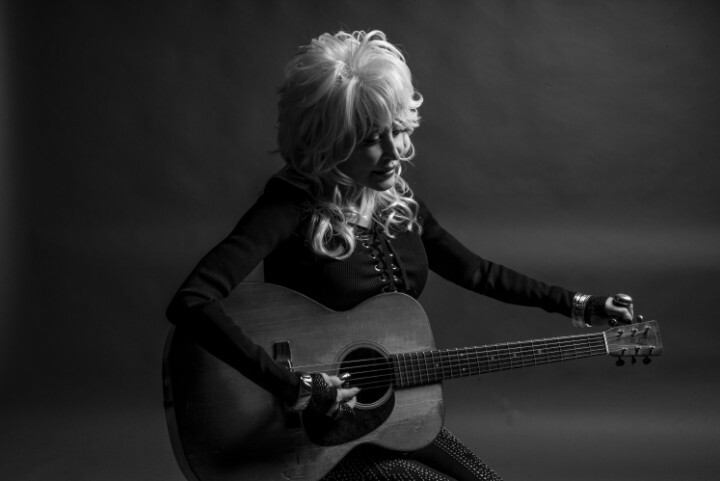 "Dolly Parton has always been and continues to be a courageous trailblazer and indomitable inspiration for creators and artists—so for us to have the opportunity to honor her at our annual MusiCares Person of the Year gala is to pay tribute to a true pillar of strength and someone who we all look up to and cherish," said Portnow. "With her legendary talent, she has forged a career that spans decades, and her gifts as a performer resound on both stage and screen. Dolly also knows the power of philanthropy and she has used her stardom to contribute to a wide range of causes from natural disasters to education and literacy programs." Remarks Parton's manager Danny Nozell, CEO, CTK Management, "I couldn't think of anyone more deserving to be the first MusiCares Person of the Year representing the Nashville music community. It's been a privilege to witness her generous heart firsthand for the last 14 years." "With each passing year, the goal of MusiCares remains clear: to do more and serve more music people in need," said Michael McDonald, MusiCares' Board Chair. "Over the course of our last fiscal year, we provided more than $6.4 million dollars to more than 8,500 members of the music industry—the largest number of clients served and dollars distributed in a single year in our charity's history. We are confident that our 2019 Person of the Year tribute to Dolly Parton will help us raise the funds that sustain and expand our mission." Established in 1989 by the Recording Academy, MusiCares offers health and human services and programs to members of the music community, including emergency financial assistance for basic living expenses such as rent, utilities, and car payments; medical expenses, including doctor, dentist and hospital bills; and treatment for HIV/AIDS, Parkinson's disease, Alzheimer's disease, hepatitis C, and other critical illnesses. MusiCares offers nationwide educational workshops covering a variety of subjects, including financial, legal, medical, and substance abuse issues, and programs in collaboration with health care professionals that provide services such as flu shots, hearing tests, and medical/dental screenings. MusiCares provides access to addiction recovery treatment and sober living resources for members of the music community. Staffed by qualified chemical dependency and intervention specialists, MusiCares offers Safe Harbor Room® support, sponsored in part by the Bohemian Foundation, to provide a network to those in recovery while they are participating in the production of televised music shows and other major music events. MusiCares holds weekly addiction support groups for people to discuss how to best cope with the issues surrounding the recovery process.